For Ella (24), the death of her alcoholic father leaves her with nothing but debt and the bitter memory of a complicated past. Abandoned by her mother at a young age, she has sacrificed her life, opportunities and love to care for a man she resents but is now left adrift in the world after his passing. The re-emergence of her nomadic godfather, Neo (46), at her father’s cremation gives Ella the opportunity to discover a better future for herself in Johannesburg. She also decides that she will bury his ashes at her childhood home in Jo’burg. Neo is a trumpeter who plays small gigs across the country. He spends his life in his trusted old car- never putting down roots and never being responsible for anyone other than himself. 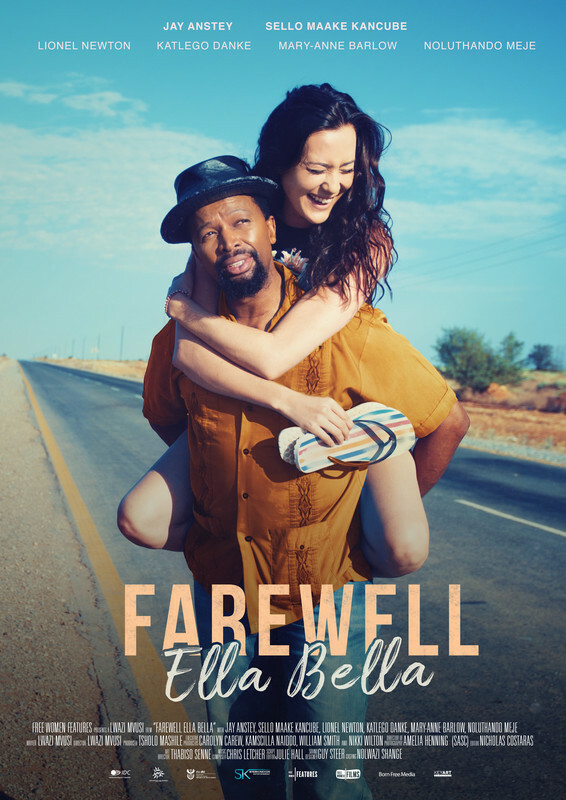 In agreeing to drive Ella from her home in Beaufort- West to Johannesburg, he is finally learning to take responsibility as their journey together forces Ella to confront her past instead of merely running away from it. The story is a coming of age tale both for Ella and Neo and the twists and turns of the long, open freeways from the Western Cape through the Northern Cape (Kimberley) up to Gauteng enable them to find strength in each other, maturity within themselves and wisdom in the characters they meet along the way.